Your cultural itinerary includes sights like The Rocks and Darling Harbour. 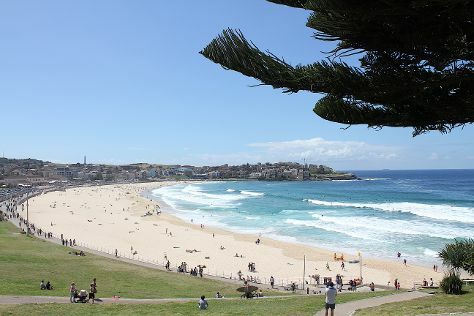 Step out of the city life by going to Bondi Beach and Clovelly Beach. There's much more to do: see a show at Sydney Opera House, take in nature's colorful creations at Royal Botanic Garden Sydney, enjoy the sand and surf at Manly Beach, and see the interesting displays at Australian National Maritime Museum. For where to stay, reviews, maps, and other tourist information, read Sydney trip builder site . The Route module can give you travel options from your home to Sydney. In December in Sydney, expect temperatures between 32°C during the day and 21°C at night. Finish up your sightseeing early on the 3rd (Tue) so you can travel to Alice Springs. 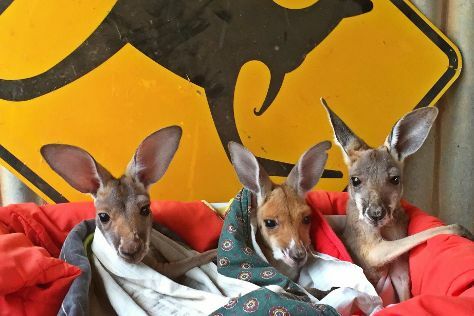 Start off your visit on the 4th (Wed): get the lay of the land with Walking tours and then look for all kinds of wild species at The Kangaroo Sanctuary. For traveler tips, maps, other places to visit, and tourist information, read Alice Springs trip builder website . Fly from Sydney to Alice Springs in 5.5 hours. Alternatively, you can drive; or take a bus. Traveling from Sydney in December, you will find days in Alice Springs are a bit warmer (41°C), and nights are about the same (24°C). Wrap up your sightseeing on the 4th (Wed) to allow time to travel to Cairns. Step out of the city life by going to Scuba & Snorkeling and Nature & Wildlife Tours. You'll enjoy a bit of beach vacationing at Palm Cove Beach and Trinity Beach. Go for a jaunt from Cairns to Palm Cove to see Hartley's Crocodile Adventures about 44 minutes away. There's more to do: trek along Esplanade Boardwalk. To see traveler tips, more things to do, reviews, and other tourist information, read Cairns trip planner. You can fly from Alice Springs to Cairns in 4.5 hours. Alternatively, you can drive; or take a bus. Traveling from Alice Springs in December, you will find days in Cairns are slightly colder (36°C), and nights are about the same (26°C). Cap off your sightseeing on the 8th (Sun) early enough to travel back home.